Lush Fab Glam Inspired Lifestyle For The Modern Woman: Iron Man 2 Opens in North American Theaters Today! 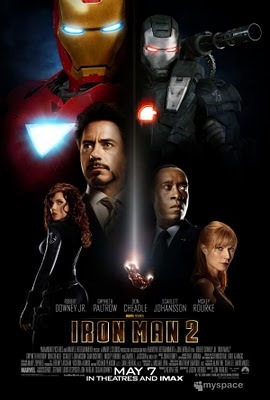 Iron Man 2 Opens in North American Theaters Today! Iron Man 2 Opens in Theaters Today! The much anticipated IRON MAN 2 opens in North American theaters today May 7th! Will you be going to see the sequel and will it be #1 at the box office this weekend? Guess we'll have to wait and see. In the meantime if you're going to see Iron Man2 prepare for the lineups and sold out shows at the movie theaters this weekend. See more exclusive Iron Man 2 photos here. Will you be watching Iron Man 2 this weekend? Leave a comment.